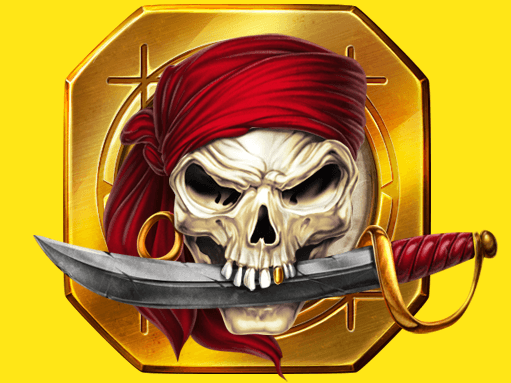 The basic color design is easy to predict. Of course – it is green, traditional Irish color. When you start the game user meets cute screensaver. 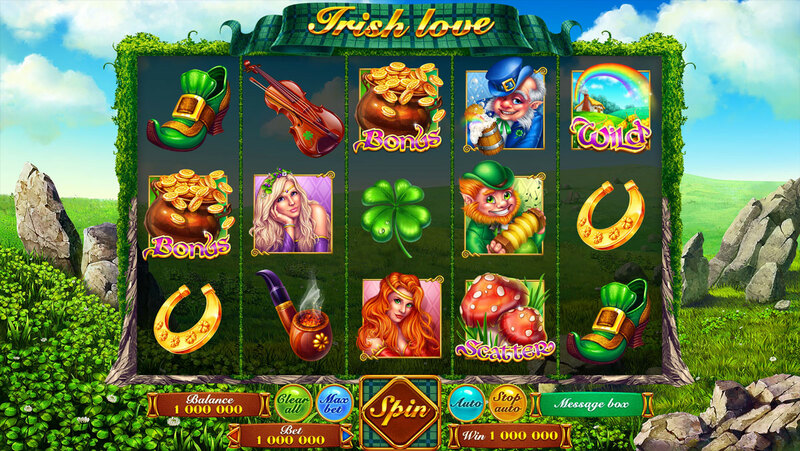 It depicts mushrooms, a leprechaun himself and a rainbow. 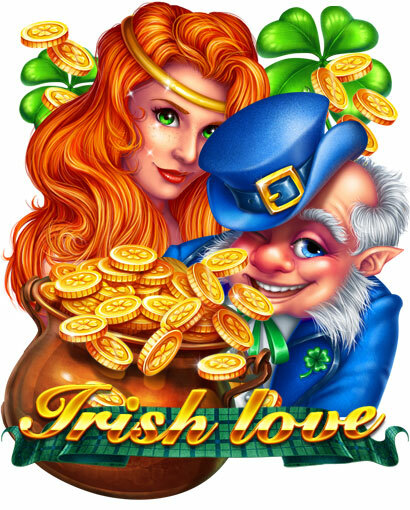 Leprechaun – a little man with a red beard and an overweight belly, will accompany the gambler throughout the game. Here you can see sprouted clover with four leaves. 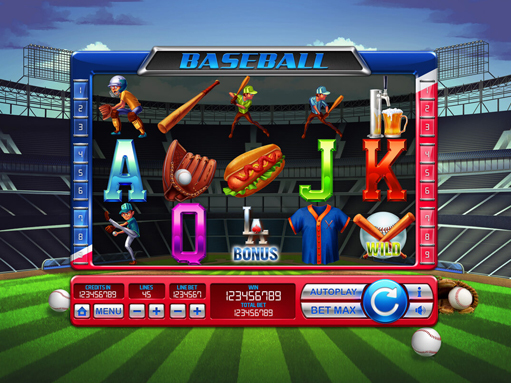 At first glance it is clear that the game is bright and positive. 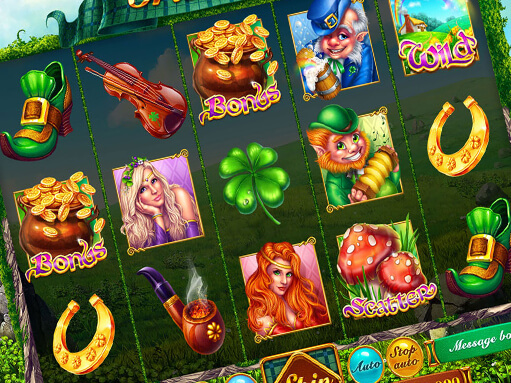 Cartoon slot design raises the spirits and gives joyful emotions. 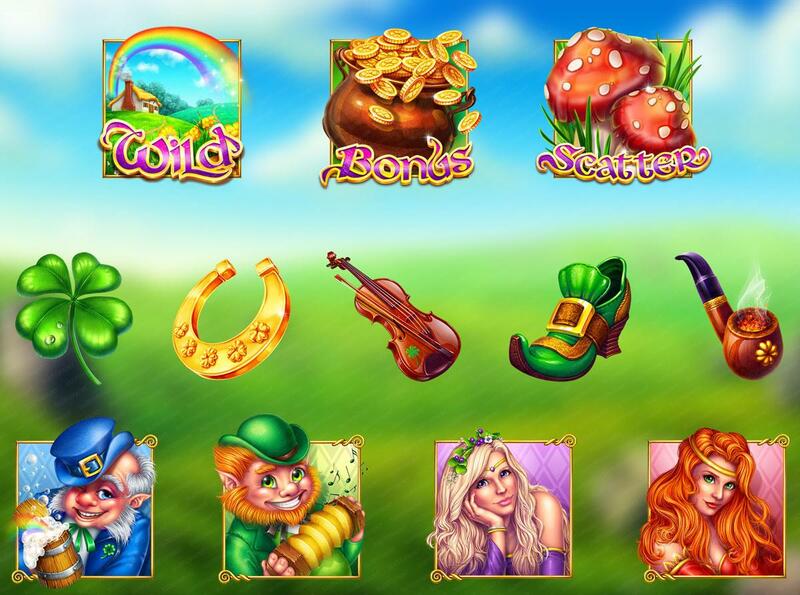 With the loading of the game, the drums will appear on the screen, which seem to be lost among the grass, and the leprechaun will shake its head from the left side. 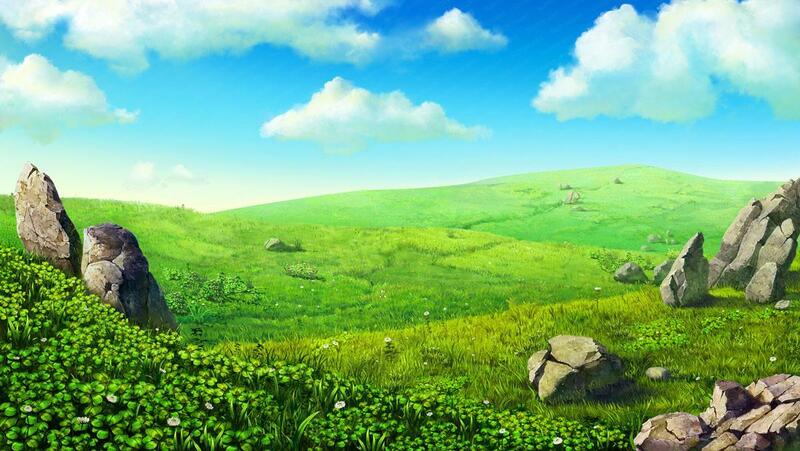 In the background sounds pleasant slow music.